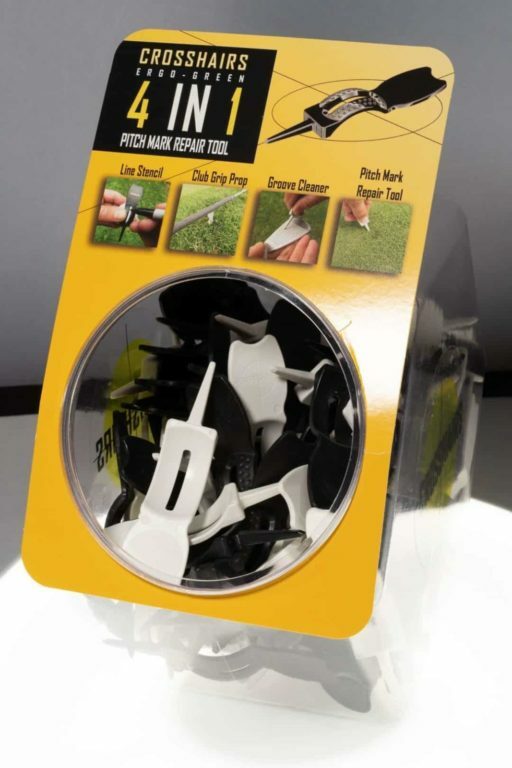 The patented CROSSHAIRS 4 IN 1 ergo-green pitch-mark repair tool is ergonomically designed with multiple functions. 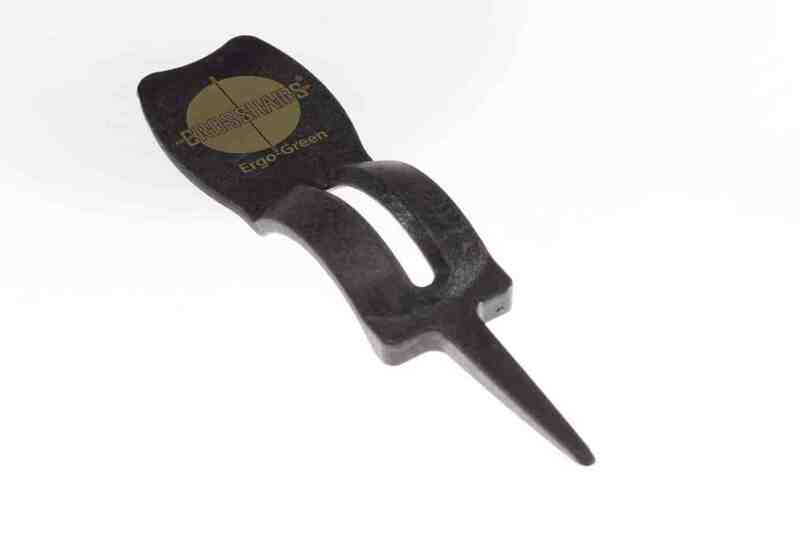 Made of durable plastic, they feature a single prong that is preferred by greens superintendents. 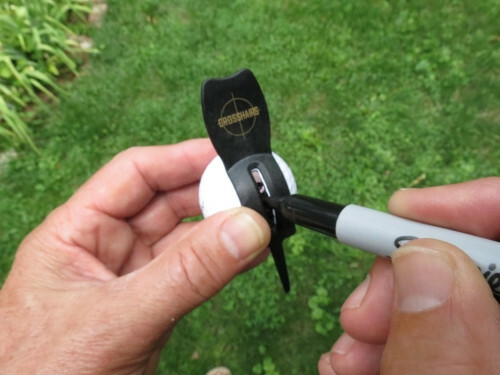 Minimum order is 1,000 for ergo-green tools with custom logo. 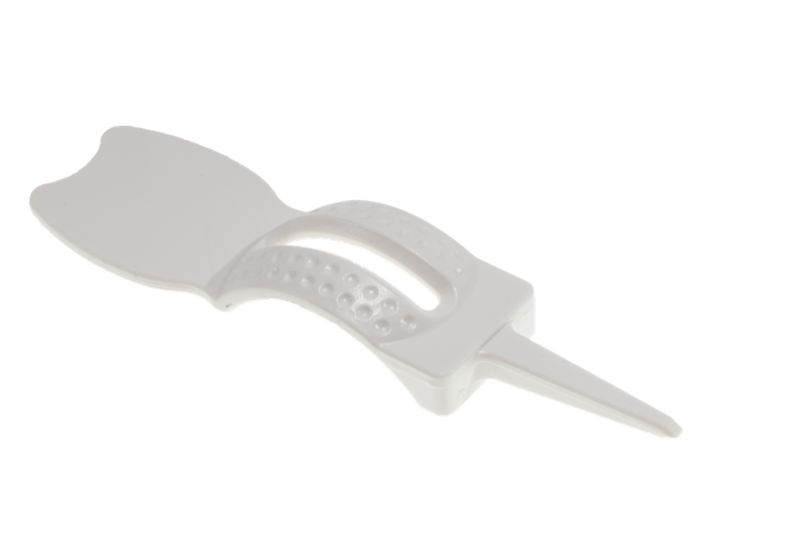 WHOLESALERS AND DISTRIBUTORS: If interested in pricing please contact us and we will provide you pricing. The Crosshairs Ergo-Green Tool has been created for both comfort and secure finger and thumb placement. 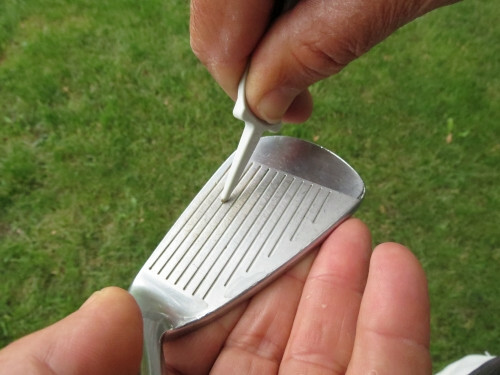 The thumb fits comfortably on the handle at a perfect pivot angle to promote the correct forward ‘pushing’ motion. 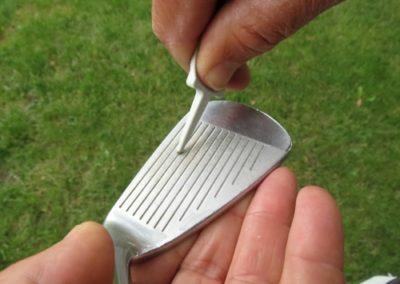 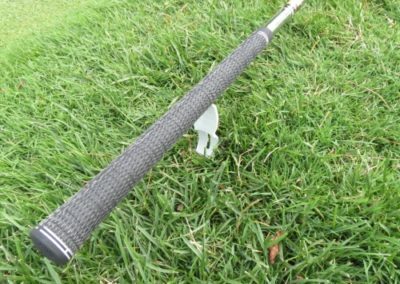 This creates optimal leverage to repair ball marks properly without damaging the green. 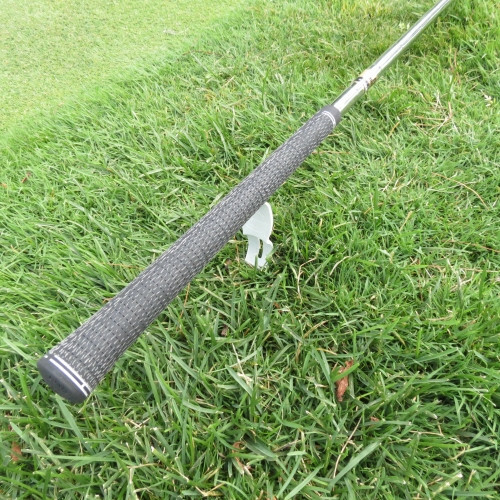 The top part can be utilized as a Club Grip Prop to keep club grips from getting wet. 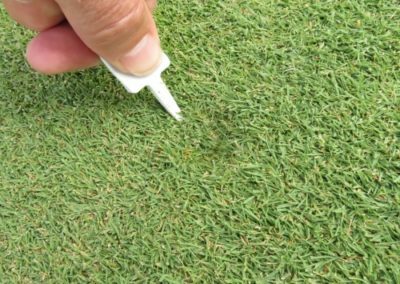 Push the prongs of the Ergo-Green Tool in the ground and prop the golf club grip on the top of the recessed portion of the divot tool. 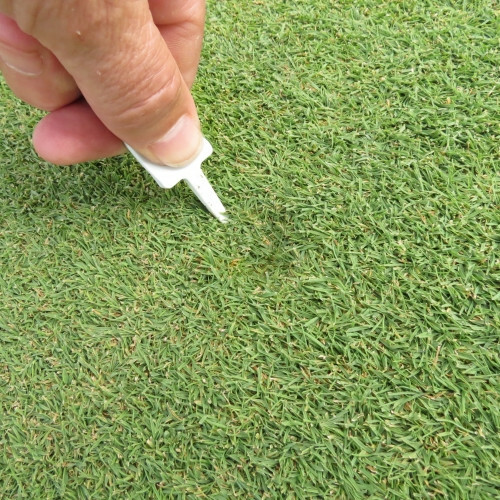 The Crosshairs Ergo-Green Tool can also be utilized as a Club Groove Cleaner by placing the prongs of the divot tool inside the grooves of a golf club iron.